Turkish officials were involved in illegal transport of oil from Iraq long before the emergence of the so-called Islamic State (ISIL/ISIS/IS/DAESH). Their illegal trade expanded to the Syrian Arab Republic with the intensification of the conflict in Syria. Turkey, however, is not the only player involved in the illegal oil trade in Syria and Iraq. The operations of the Anglo-Turkish company Genel Energy PLC, which works in Iraqi Kurdistan and Malta, illustrates the constellation of financial and energy sector interests involved. Genel Energy PLC has its headquarters in the English Channel’s Crown Dependency of the Bailiwick of Jersey, which is an offshore tax haven governed by Britain’s monarchy as a separate entity from the United Kingdom and its overseas territories. With the involvement of Goldman Sachs and JPMorgan Cazenove, the Jersey-based energy company surfaced in 2011 after a £2.5 billion reverse merger takeover of Genel Enerji International Limited by Vallares PLC, an investment company setup by former BP oil conglomerate executive Anthony («Tony») Bryan Hayward, JNR Limited financier and banking dynasty scion Nathaniel («Nat») Rothschild, Nat’s financer cousin Thomas («Tom») Daniel, and Dresdner Kleinwort and Goldman Sachs investment banker Julian Metherell. Vallares is modeled on the Jersey-incorporated predecessor of Asia Resource Minerals PLC, Vallar (later BUMI PLC), which in 2010 raised £707.2 million in initial public offering and was co-founded by Nat Rothschild and Tom Daniel. In June 2011, Hayward, Rothschild, Daniel, and Metherell quickly raised £1.35 billion (or $2.2 billion) for the deal between Valleres and Genel Enerji. Half this money came from investors in the US during the Jersey-based company’s initial public offering and involved investments from firms like the British asset management company Schroders and the Lloyds Banking subsidiary Scottish Widows. Two of Turkey’s richest men, Turkish billionaire business mogul and banker Mehmet Emin Karamehmet, who was appealing an eleven-year jail sentence for embezzlement at the time of the deal, and Genel Enerji CEO Mehmet Sepil, who was caught and fined for insider trading of shares from Heritage Oil by the British Financial Services Authority in February 2010, were given half of the new company by the quartet and issued a further £1.25 billion in equity from the deal. It was agreed that Mehmet Karamehmet would be represented on the Genel Energy’s board by his daughter Gulsun Nazli Karamehmet Williams and Sepil would be represented by the lawyer Murat Yazici of Yazici Law Offices, who formerly represented Royal Dutch Shell, the Turkish Petroleum Company (TPAO), and Exxon from 1974 to 1989. Sepil was appointed president of Genel Energy PLC and given a «key executive role» as Metherell puts it, «a key member of the leadership» due to his «unique knowledge of Kurdistan». A former BP executive and chair of the Jersey-based Petrofac oilfield services corporation, Rodney Chase, and a former US ambassador to Turkey, Mark Parris, were reported as being part of the new company too. This was a forecast in 2011 about Genel Energy’s expected production: «Genel owns stakes in valuable oil fields in Kurdistan, currently producing 42,000 barrels per day for the Turkish market. The new management, led by former BP boss Mr Hayward as chief executive, is planning to double output. ‘We want to be producing 110,000 barrels per day by 2012 and by 2015 the expectation is 150,000 barrels,’ Mr Metherell said». Were escalated war and the plunder of Syrian oil foreseen and part of the equation? It is worth mentioning that the Anglo-Turkish energy company has been involved in illegal export of Iraqi oil to Israel, appeared to be working to integrate the energy infrastructure of the Eastern Mediterranean with Israel and Turkey, and was planning on announcing a deal to work with a «consortium responsible for oil and gas explorations in Lebanon» in 2012. This would all only be feasible if regime change in Damascus took place and compliant regimes were established in Syria and Lebanon. A noteworthy omission by Nat Rothschild to the British journalist Simon Goodley that certain locations in the world were outside of the limits of Genel Energy, including Venezuela and post-Soviet Central Asia, confirms that geopolitical rivalries are taken into consideration in the Anglo-Turkish company’s operations. According to the South African journalist Khareen Pech, these interlocked directorship and companies are part of a labyrinth of networks that profit off insecurity and war. In this context, an earlier merger deal between Genel Enerji and Heritage Oil, another English Channel-based offshore company founded by mercenaries connected to the British military, that collapsed in 2009 should be examined with scrutiny. Explaining about Heritage Oil and Gas, Pech states thus: «In London, a similar web of companies can be found at the Heritage Oil and Branch Energy offices at Plaza 107. Over fifteen companies operate from this suite, share the same telephone numbers and the same UK-based directors and personnel. This clandestine approach to business enables EO and its British principals to operate and benefit from a hidden empire of corporate and military companies». 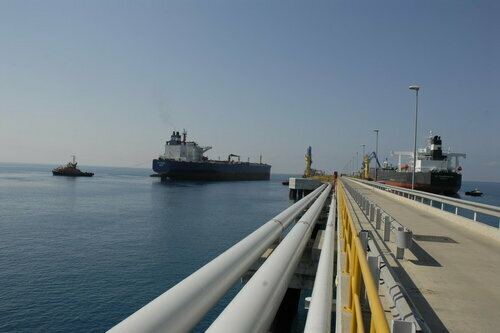 In 2009, Genel Energy’s Turkish predecessor Genel Enerji began exporting oil from Iraqi Kurdistan to the Turkish coast with the opening of the Kirkuk-Ceyhan Pipeline. The port of Ceyhan is run by Botas International Limited, a Turkish state company that also operates the Turkish portions of the Baku-Tbilisi-Ceyhan Pipeline that deliberately circumvents Russia and Iran exporting Caspian Sea oil from the Republic of Azerbaijan by going through Georgia and Turkey. According to Reuters, using sanitized language hiding the illegal nature of the operations, this «export route to the Turkish port of Ceyhan, designed to bypass Baghdad’s federal pipeline system, has created a bitter dispute over oil sale rights» inside Iraq. Since 2002, the Turkish company had been illegally making inroads into Iraqi Kurdistan and slowly working to integrate the area’s energy infrastructure with Turkey through illegitimate trade agreements with local Kurdish chieftains that circumvented Iraq’s government in Baghdad and the Iraqi State Organization for Marketing of Oil (SOMO). The Guardian also pointed this out in 2011, amidst similar circumstances involving a deal between Exxon Mobil and the Kurdistan Regional Government, by writing that with the British government’s support Hayward, Rothschild, Daniel, and Metherell categorically threw their «money and efforts into drilling rights obtained in [Iraqi] Kurdistan which have never been ratified by the federal government in Iraq». From an economic standpoint and in practice, Genel Energy is supporting the balkanization of the Middle East and Africa by providing revenues for breakaway republics and secessionist tendencies. The oil it is illegally exporting from Turkey is financing the Kurdistan Regional Government and helping Kurdistan Regional Government President Massoud Barzani reject the constitutional authority of the Iraqi federal government. Genel Energy even calls itself «a partner for the Kurdistan Region» in its corporate literature. In 2012, in this regard, the Anglo-Turkish company secured an exploration license from the unrecognized government of the breakaway republic of Somaliland, which declared its independence from Somalia on May 18, 1991. 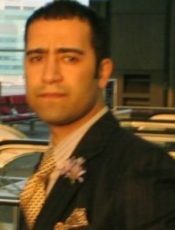 It is also no coincidence that Israeli Prime Minister Benjamin Netanyahu backed Massoud Barzani’s takeover of Kirkuk and other disputed territories in Iraq. Barzani and Netanyahu even called for the independence of Iraqi Kurdistan simultaneously in 2014. 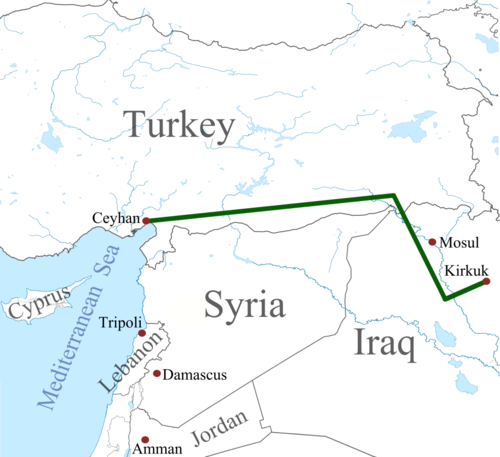 In fact, with the help of Turkey and Genel Energy, the Kurdistan Regional Government used its energy links to Turkey to transport oil through the Kirkuk-Ceyhan Pipeline to Israel. Large oil conglomerates, like BP and Exxon Mobile, were afraid to buy this oil publicly due to the threat it could pose to their existing deals in Iraq. Thus, according to Kurdistan Regional Government Natural Resource Minister Ashti Hawrami, Israel and Malta became key actors for avoiding detection of the smuggled oil from Iraq. Reuters reported the following on June 20, 2014: «A tanker delivered a cargo of disputed crude oil from Iraqi Kurdistan’s new pipeline for the first time on Friday in Israel, despite threats by Baghdad to take legal action against any buyer». Reuters also explained that the sale of oil from the Kirkuk-Ceyhan Pipeline that bypasses the network of energy pipelines controlled by the Iraqi federal government is crucial for the Kurdistan Regional Government’s drive for «greater financial independence from war-torn Iraq». According to the conclusions of a University of Greenwich study authored by George Kiourktsoglou and Alec D. Coutroubis, oil export from the port of Ceyhan includes oil smuggled from Iraq and Syria to Turkey. Since 2014, according to the study’s analysis of the export data from Ceyhan, the «tanker charter rates from Ceyhan re-coupled up to a degree with the ones from the rest of the Middle East». While the authors of the report are inconclusive about the increased imports being «attributed to additional [Iraqi Kurdistan] crude, whose export via Ceyhan coincided with the rise of» the ISIL’s oil smuggling or as a «result of boosted demand for ultra-cheap smuggled crude», it can be confidently assessed that it is a result of both. Kiourktsoglou and Coutroubis also point out that «through the concurrent study of the tanker charter rates from the port» of Ceyhan and the timeline of the fighting with the ISIL it «seems that whenever the Islamic State is fighting in the vicinity of an area hosting oil assets, the exports from Ceyhan promptly spike» which «may be attributed to an extra boost given to crude oil smuggling with the aim of immediately generating additional funds, badly needed for the supply of ammunition and military equipment». The oil that Turkey is selling for the ISIL is being camouflaged with the oil that the Kurdistan Regional Government is illegally selling from Iraq. In fact, the ISIL has been transporting stolen Syrian oil into Iraq’s Ninawa Governorate and then from close proximity to the city of Mosul smuggling the oil into Turkey, where it is sent to Ceyhan for re-export. The Turkish military deployment in the Mosul District and its plans to establish a permanent military base are meant to protect these oil routes and dually maintain the flow of illegally sold Iraqi oil by the Kurdistan Regional Government and to secure the stolen Syrian and Iraqi oil taken by the ISIL.